Our Partners: - wakhanexpedition2012s Jimdo-Page! OSPREY Packs Inc. supports our exped with their innovative high end gear like backpacks, light summit packs and drinking systems. On challenging expeditions into the wild and unknown for first ascents in the Afghan Pamir, only the highest quality products can take this challenge and lead to success. Osprey stands behind their quality craftmanship by offering All Mighty Guarantee to their customers. 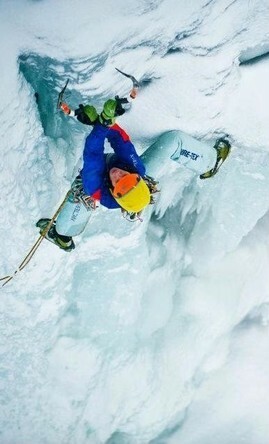 We, the team of Afghanistan´s Secret Peaks 2012, fully trust in Osprey´s high quality gear. Further does Osprey´s commitment as an outdoor industry leader in sustainability, environmental and social concerns perfectly fit into our exped´s philosophy. 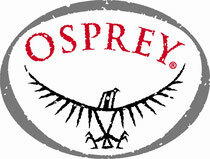 Read more about it and take a look at the official OSPREY website or check out OSPREY on Facebook. 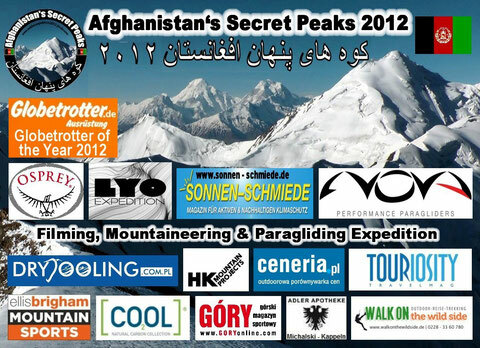 The team of Afghanistan´s Secret Peaks 2012 is electrified to announce WWW.SONNEN-SCHMIEDE.DE as our official supporter. The solar engineering company SONNEN-SCHMIEDE and Dipl.Ing. Peter Baumeister bring more power into the expedition with their solar panels and batteries, making sure that we never run low on energy. All in line with our environmental awareness, avoiding all old school gasoline driven emergency power units that would pester the peaceful valleys with noise and fumes. SONNEN-SCHMIEDE expertise is not only restricted to supplying expeditions all over the world, but are experts in counselling, planning and installing photovoltaic systems in every sector...at your private home, your industrial buildings or your private island, too. Go green, go solar! LYO FOOD supports Afghanistan`s Secret Peaks 2012 with freeze-dried food, saving weight and energy not only for the transport but also for preparation.The nutrition is having a key role on a mountaineering expedition. Only while maintaining a well-balanced and high-calorie diet it is possible to generate maximum performance under extreme conditions. The LYO EXPEDITION meals fulfill this demand. Check out LYO FOOD on Facebook and take a look at all those great expeditions they support! Expedition- and Sciencemarketing company HK MOUNTAIN PROJECTS from Göttingen (GER) supports Afghanistans Secret Peaks Exped with satellite communication devices and solar technology equipment as well as postproduction and online newsreport support from the tour. We are happy to announce TOURIOSITY TRAVELMAG as a media partner of "Afghanistans Secret Peaks 2012". Tourisosity Travelmag aspires to give you wings by bringing to you inspiring stories of courage, confidence and great achievements from across the globe from people who achieved those feats and realized their dreams because they believed they could do it. 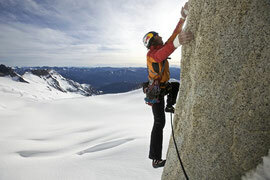 Drytooling.com.pl is an outdoor website devoted to ice and mix climbing and mountaineering. If you love winter and you can not wait to get out your ice axe from the cabinet and hit the Tatras, the Alps, or perhaps the Himalayas have a look on their web for an inspiration for your climbs. Our new partner and specialist for high quality and innovative ultralight outdoor equipment such as tent and snowshoes in Bonn. "Walk on the wild side" - Best advice from super guys! Special thanks to our partner CO2OL - Natural carbon collection - supporting our philosophy of environmetally friendly, low impact and light travel style - making the idea of a CO2-neutral mountaineering expedition come true. Our team member Will Palmer is very happy to announce his partnership with Austrian NOVA paragliders and he looks forward to his new position on it's Pilots team. Thank you very much Stefan, we are honoured to receive a message of support from a true idol of this sport like you! 4 times winner of the UIAA Ice Climbing Worldcup, INES PAPERT, doing the wildest climbs all over the world - from Bavaria to Kirgistan - no matter if on rock, ice or mixed, supports our expedition. "What a great idea! Im looking forward to your documentary and wish you an adventurous and amazing time! This country deserves much more attention! Im sure you will succeed"
Bin gespannt auf die Aufnahmen aus der Luft und wünsche euch von Herzen eine abenteuerliche und erlebnisreiche Zeit. Das Land gehört schon lang mal näher angesachaut. Bin sicher ihr werdet erfolgreich sein.alles liebe, Ines"
Thank you vary much Ines - you rock! "Best of luck guys...my best wishes are also with our Afghan brothers and sisters for permanent peace and a prosperous future ahead!" Thank you very much Nazir, we all share your wishes for Afghanistan! 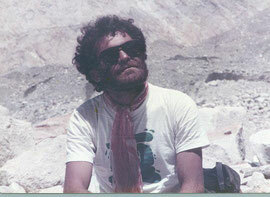 Besides his work as an environmentalist, politician, for Pakistan Alpine Club and promoting Pakistan as a unique tourism destination since decades, he also runs his expedition and adventure travel agency, offering expeditions, trekking and cultural tours even in Afghanistan. Interested? Get in touch with the Pro: NAZIR SABIR EXPEDITIONS . "What a dream trip! 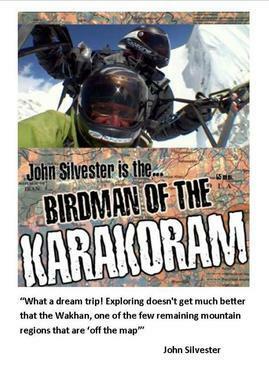 Exploring doesnt get much better than the Wakhan, one of the few remaining mountain regions that are !off the map' ". Thanks John, and thanks to Mansoor "the Mountain Tiger" of Hunza! We are happy to receive an encouraging message of support by ED STAFFORD - European Adventurer of the Year 2011, who became the first man to walk the length of the Amazon River in South America from the source to the sea in 2010, a journey that took 860 days of walking. 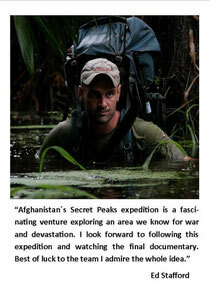 "Afghanistan´s Secret Peaks expedition is a fascinating venture exploring an area we know for war and devastation. I look forward to following this expedition and watching the final documentary. Best of luck to the team I admire the whole idea." 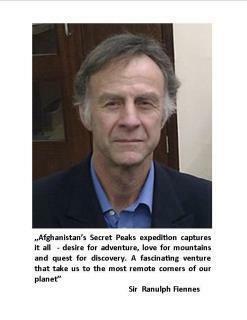 "Afghanistan´s Secret Peaks expedition captures it all - desire for adventure, love for mountains and quest for discovery. A fascinating venture that take us to the most remote corners of our planet". 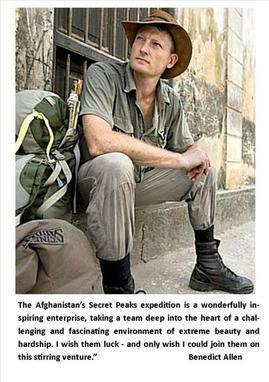 "The Afghanistan's Secret Peaks expedition is a wonderfully inspiring enterprise, taking a team deep into the heart of a challenging and fascinating environment of extreme beauty and hardship. I wish them luck - and only wish I could join them on this stirring venture."